Symbologist Robert Langdon is back for a fourth race-against-time adventure in Inferno, and Dan Brown's highly successful formula of grand conspiracies linked to historical art still works but shows clear signs of strain. Langdon wakes up in a Florence hospital with short-term memory loss thanks to a would-be assassin's bullet that grazed his head. Langdon is suffering from horrific visions that seem to represent the impending end of the world. While he does not remember why he is in Italy, the danger is immediate, as the assassin arrives at the hospital to try and finish the job. The intervention of quick thinking young doctor Sienna Brooks saves his life, and soon Langdon is on the run with Sienna, trying to solve a riddle hidden in a modified version of Botticelli's Map of Hell, inspired by Dante's vision of hell, as described in the Inferno portion of the Divine Comedy. Meanwhile, a shadowy and dangerous private organization called the Consortium, led by a man known as the Provost, is chasing after Langdon, while agents for the World Health Organization, including its leader Elizabeth Sinskey, also seem to be deployed in large numbers to try and avert a public health catastrophe. As Langdon and Sienna chase after clues hidden in the artwork and ancient museums of Florence, Venice, and Istanbul, they uncover a nefarious plot by Bertrand Zobrist, a genius genetics scientist. Zobrist has already committed suicide, but not before instigating a terrible chain of events that could result in mass death. Langdon has limited time to help avert a disaster, but he will be surprised by many twists and turns before the world meets its fate. There is an undoubtedly high readability factor to Inferno. The writing is simple, the pages turn at maximum velocity, and the need-to-know-what-happens-next could not be higher. Even when Brown gets bogged down in a few too many superfluous architectural and historical descriptions, these paragraphs can be easily skipped. The context of the world facing calamity due to overpopulation is interesting but debatable, and it is surprising that at no time does Brown present any counterarguments to the doomsday scenario espoused by Zobrist and his disciples. 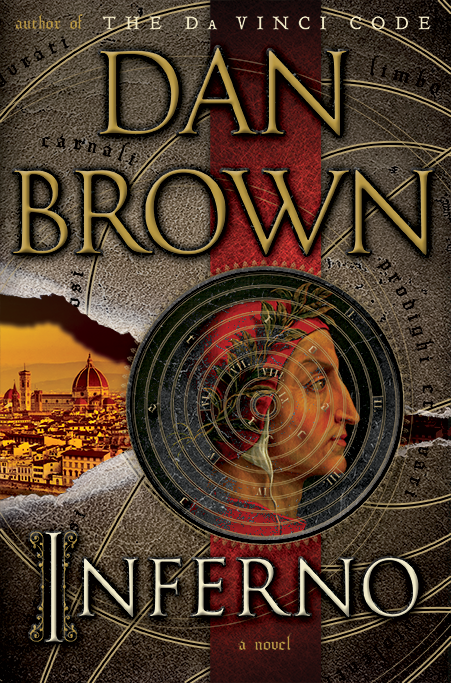 Inferno's drawback resides in rehashing many of the same elements that are now almost too familiar from the other Robert Langdon adventures. The smart and athletic woman who appears out of nowhere to help, and who may be much more involved in the plot than she lets on. The lone assassin hunting down the good guys. The third party retained to help broker the evil-doing of the real evil-doers. And always the race against the clock, and the frenzied rush from one historical artifact to another. In an attempt to refresh some of these elements Brown introduces the always dubious plot device of amnesia, and several remarkable plot twists that involve characters changing sides or changing identities. These do get tiresome and are mainly pulled off by leading the reader to the wrong conclusion using grade school gotcha tactics. One particular cheap 180 degree turn, involving a character who is apparently being drugged and forcibly held in the rear seat of a car, is explained away with a most unconvincing mouthful of babble. 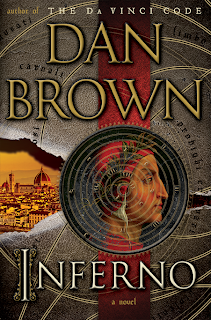 Fun but highly derivative, Inferno may be the last Langdon sequelitis adventure that Brown will get away with. A major tweak to the formula or a reboot is now required. The lectures are getting stale, and the professor needs some new material.